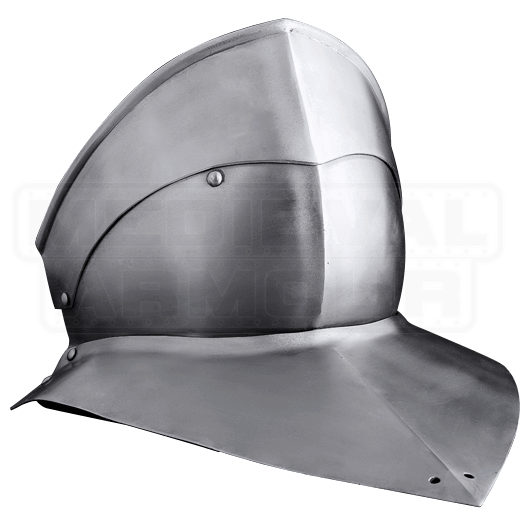 The 15th Century Articulated Gorget shows the logical evolution in armour development from the bascinet with aventail to a sallet helm with gorget. This steel gorget matches the style of European armour from 1480 to 1500. The neck armour features a rigid neck guard with an articulated bevor offer additional protect the face. Leather straps help fasten the armour. 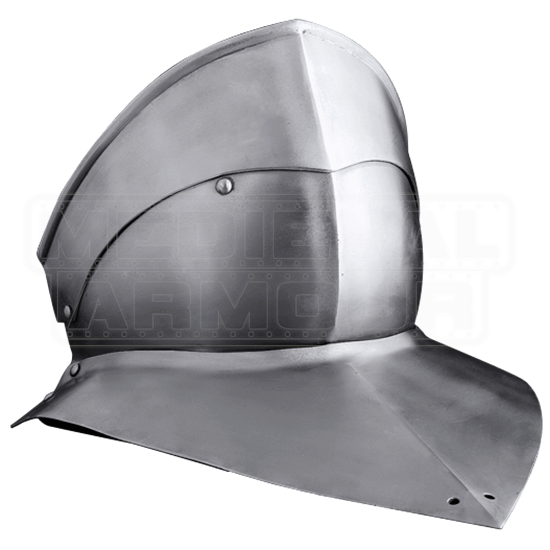 When planning your next armour set for a LARP event or historical re-enactment, be sure to consider this medieval gorget!